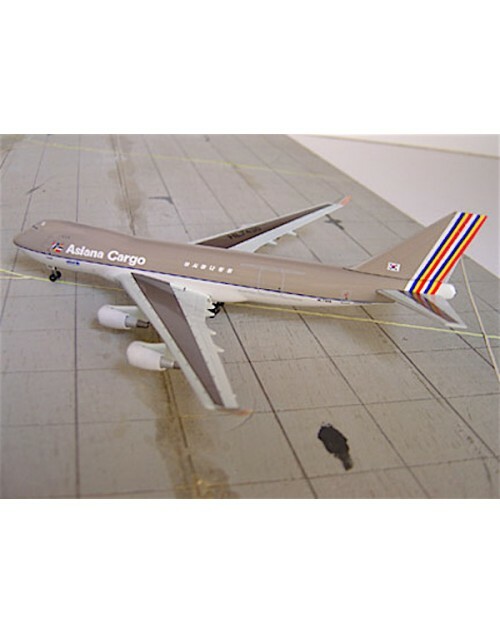 1/400 scale die cast Dragon Wings Asiana Cargo Boeing 747-48EF (SCD) with 2000's color scheme. Item #55973. Registration: HL7436. Includes a plastic stand. Released in December 2006. Dimensions: Length: 7 inches (17.8 cms), Wing Span 6 1/4 inches (15.9 cms).